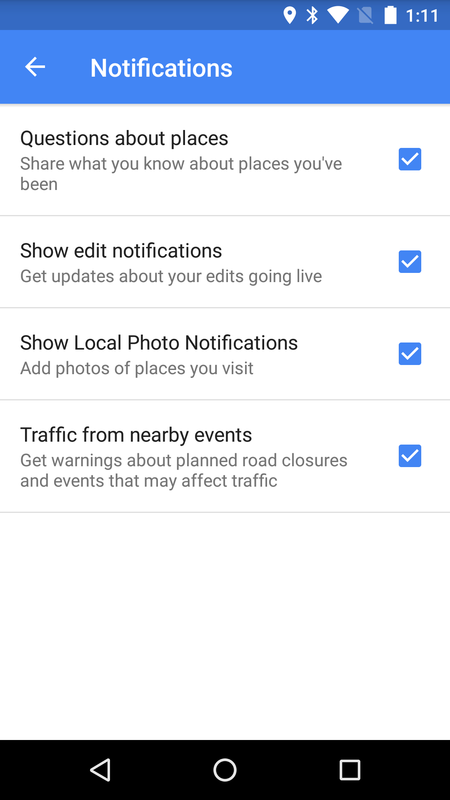 A late-night update to Google Maps on Tuesday brought the version up to 9.21. Despite a moderate bump to the version number, this appears to be a relatively minor release. Of course, knowing the Maps team, we'll end up with an update in a few days with an official changelog that includes at least a couple more interesting additions. In the meantime, there's a new setting to control notifications about responses to your edits. 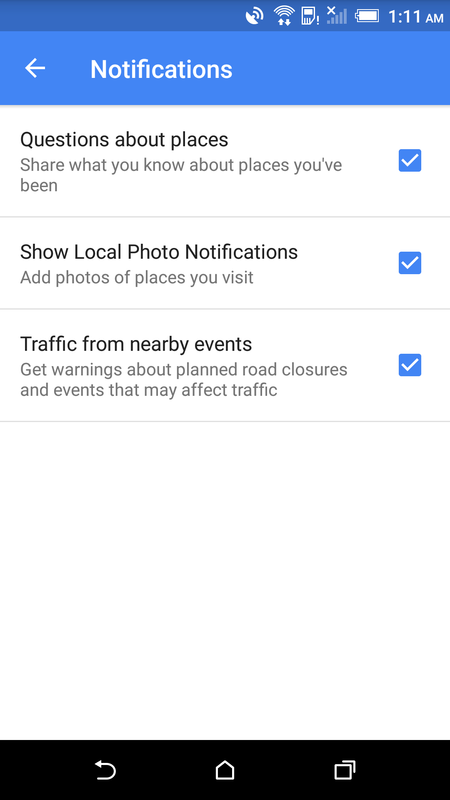 Maps has also expanded its list of supported countries for the recently released Driving Mode and the "Explore around you" feature. To begin with, this is obviously missing the notification toggle mentioned below. Whether Google wants to call attention to that toggle is unclear, but it seems weird to ignore it. 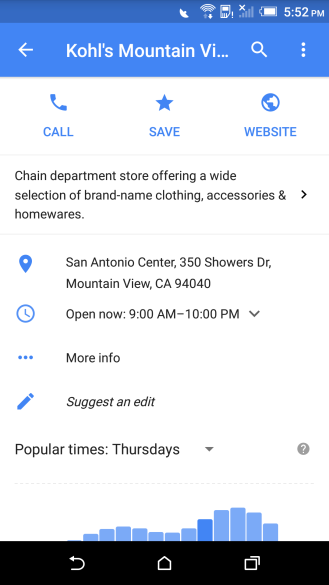 But more to the point, I have looked through a few dozen department stores and found no sign of a proper directory or any sort of phone numbers or hours that weren't already available in older versions. The search for this feature did reveal one other minor change, as seen in the screenshots below. 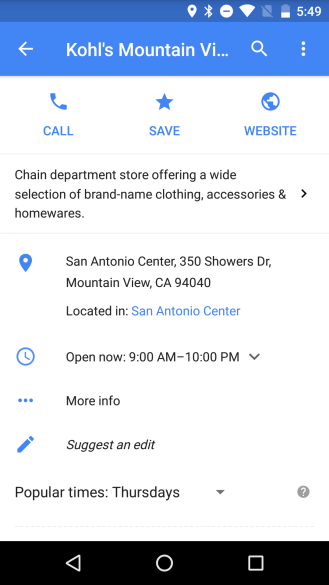 Some stores now show a "Located in" link that points to a mall if they're located in one. This is a helpful feature, if for no other reason than it gives a good clue for drivers to look for a mall instead of a store's own signage. The Local Guides program seems to be doing quite well as business listings are consistently improving and a legion of high quality photos are replacing the generic Street View shots taken from the road. However, there is about a 12 to 24-hour delay before most user submissions go live, allowing for them to go through a quick review human review. The data is curated to prevent vandalism and pranks, particularly after a rash of incidents about a year ago. While the delay is understandable, users want to know that their work has been accepted or rejected, and now they can. Poke around the Settings screen and into the Notifications section to find a new option to "Show edit notifications" when your edits have gone live. Technically, the notifications should be shown for both edits that go live or those that are rejected, at least that's what it looks like in a teardown of the apk. Whatever the case, users should be able to look forward to knowing when their edits go live, which should coincide with being awarded points toward higher levels as a local guide. It's worth noting, I submitted a photo about an hour after first installing this version, but never received a notification. It's possible this feature isn't live on the server or some things won't produce notifications. Either way, we'll probably see these popping up shortly. It's not actually clear that this has anything to do with the latest Maps update, but Google just announced that 'Explore around you' is now available in France, Italy, Spain, Germany, and Japan. This feature is already available in the US and UK, where it serves to be a quick guide to nearby restaurants and nightlife. Google also notes that the cities of Paris and Tokyo are receiving some special attention with additional custom categories appropriate to their unique locales. Driving Mode, a predictive variant of Navigation Mode, was introduced last month. By most accounts, it seems to have been limited just to the United States, while a few people worked around the restriction with VPNs. In the last couple of weeks, we've received a few tips that claim it is now working in Canada and parts of Europe. 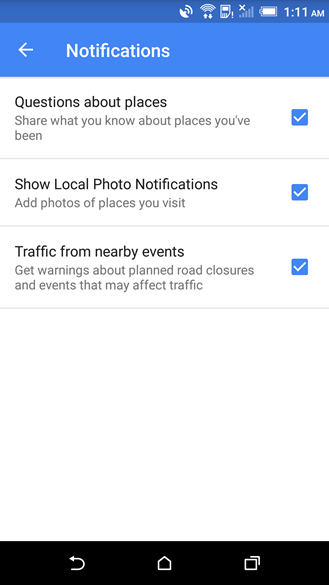 While none of these are technically confirmed, it might be worth taking a look to see if Driving Mode is available on your device in the nav drawer of Google Maps.